Eye Care Directory offers up-to-date information about the optical eyeglasses stores and eye doctors for your vision needs in the Nottingham of Nottinghamshire. You may arrange an free eye exam, buy prescription eyeglasses, RX sunglasses or donate your old eyeglasses by using the contact information in the directory. In the Nottingham, optometrists can be found in the vicinity of a chain optical retail store, or in an independent optometrist's office. Optometrists are trained to address both vision refractive errors and eye health. Many optometrists sell high-end eyeglasses and contact lenses in their practices with the most professional possible services in addition to performing eye exams and writing prescriptions. Ophthalmologists are medical doctors (MD) in the eye care and vision health who perform eye exams, write prescription for eyeglasses, sunglasses and contact lenses, diagnose and treat eye diseases and carry out eye surgery. Ophthalmologist's responsibility is much beyond that of optometrist. Does wearing glasses cause wrinkles? No, wearing glasses will not cause wrinkles. Oppositely, Because of the decade of constant squinting, I now have crow's feet as well as forehead wrinkles. I would give anything to turn back the clock and cough up the money from the beginning.If you don't wear sunglasses for whatever reason, you're encouraging wrinkles! Look in the mirror and squint like the sun is in your eyes. See the lines that form? After so long they will become permanent lines. Can sports glasses be prescribed? If you have vision problem to be corrected, then you need your glasses to be prescribed. Is it ok for a man to wear Sarah Palin's glasses? I ever saw a man wearing Sarah Palin's glasses, which look very good. If you want to buy Sarah Palin's glasses, you should try them on before you buy them because one person is different for another. 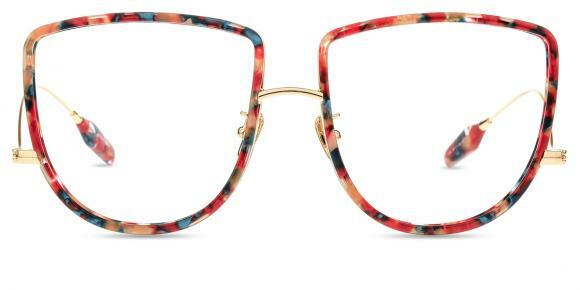 Can I wear geek chic eyeglasses to the office? Yes you totally can, Geek chic glasses are the latest style of eyewear that everyone is geeking out about. Yes, the geek look is in. Geek chic glasses are contemporary, and extremely stylish, and they can be pulled off by pretty much anybody. Whether you're working in an office or hitting the club scene in the city, geek glasses will give you a chic and elegant look that will set you apart from the others. measuring bridge-distance on eyeglasses ordering online? Generally speaking, if you order your glasses with your correct prescription, it can fit you fine. If you are unsure whether your glasses frame will fit you, you can try them on in the store in advance. And remember the brand and model number of them, then you can order them online for a cheaper price. If you want to adjust your glasses frame, make sure whether the frame can be healed or not. If it can be done, you can warm it to some extent and then adjust your frame little by little until it fits you well. Hope this helps. No, people with cataracts will not look the same as common people. Their eyes will have the unclear symptom. Their eyeballs may have the sundries which may affect the right vision. People with cataracts should protect the eyes through the good diet and good rest. They could also get through the surgery to help them get healthy eyes. Is it OK to wear computer glasses at 25-25 eye vision? Do you mean you have perfect vision. I just see people use 20/20to express perfect vision and never see 25-25 vision. If you have perfect vision, and spend lots of time in front of computer everyday, you can try non prescription computer glasses(also called Plano computer glasses). Of course, if you have poor vision, you shall take a detail eye exam and buy prescription computer glasses according to your eye power. What is the difference between plastic and polycarbonate lenses? Polycarbonate lenses are better than plastic lenses. 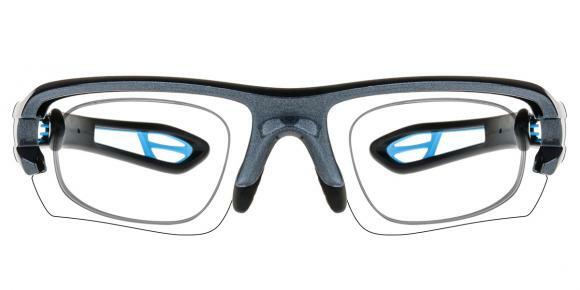 In fact, polycarbonate lenses are usually applied to sports goggles to shield the eyes. And polycarbonate lenses are 10 times impact-resistant than common plastic lenses. Besides, the polycarbonate lenses have UV protection themselves. So, It is a good idea to try them. And consult the optician if they are polycarbonate lenses. How to wear glasses under a paintball mask? Ok, it sounds really interesting! But you should know that paintball mask could make you unable to wear glasses, for there would be no spaces for a pair of glasses. However, my advice for you is to get a pair of contact lenses from a local optical store, those stuff could be compatible with paintball masks. Just enjoy yourself with them tomorrow. And of course try to make clean use of the lenses. How to make your eyes look longer? In order to make your eyes look bigger whatever at the length or width, you could choose to wear the contact lenses which will help you get this. There are a lot of contact lenses in the market. You could go to the online store to choose the suitable color of the contact lenses which may save you a lot of money. You could get the good quality as same as that in the real store.